Online casino News: Is Internet Gambling Legal In My State? Is Internet Gambling Legal In The USA? Over the last few weeks we have been covering several court cases that have the potential to change the face of internet gambling in the U.S. forever. Last month iMEGA, an online gambling advocacy group based out of Washington DC, sued several government agencies in an attempt to overturn the Unlawful Internet Gambling Enforcement Act (UIGEA), which was passed in 2006. The UIGEA is a federal law that was passed in an attempt to forbid internet gambling in the U.S. However, the law does not TECHNICALLY make internet gambling illegal, it only makes it illegal for financial institutions to accept any money that is part of an “illegal internet gambling” transaction. 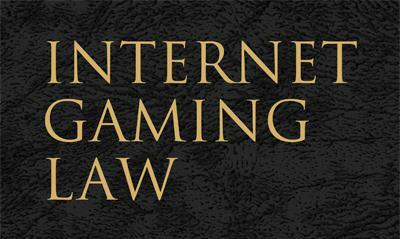 That being said, there is actually no federal law on the books that defines what “illegal internet gambling” is. Since there is no federal law defining illegal online gambling, iMEGA attemted to have the law overturned on the grounds that it is too vague and that it violates citizens’ right to privacy. Earlier this week, the court came back with the decision that the law is indeed clear. In other words, the UIGEA makes placing a wager online illegal, but ONLY if the law of the state in which the bet is being made says that online gambling is illegal. For example, if I live in the state of California (where there is no law against internet gambling), then according to this recent court ruling, the UIGEA does not apply to me. Since there are only 6 states that expressly forbid internet gambling, there are 44 states where it is not considered illegal. So does this mean that internet gambling is now legal in those 44 states? Gambling is not technically illegal in those 44 states, but the financial institutions will not be opening their doors for online gambling bets just yet. Because it would be a little sticky for the banks to start accepting gambling money from some states and not others, there will likely need to be at least a few more days in court before you can wire your bookie your NFL bets through your Wells Fargo account. For now, if you are in the US and want to do some legal online gambling, download the Silver Oak Casino software and start playing over 130 online casino games now!